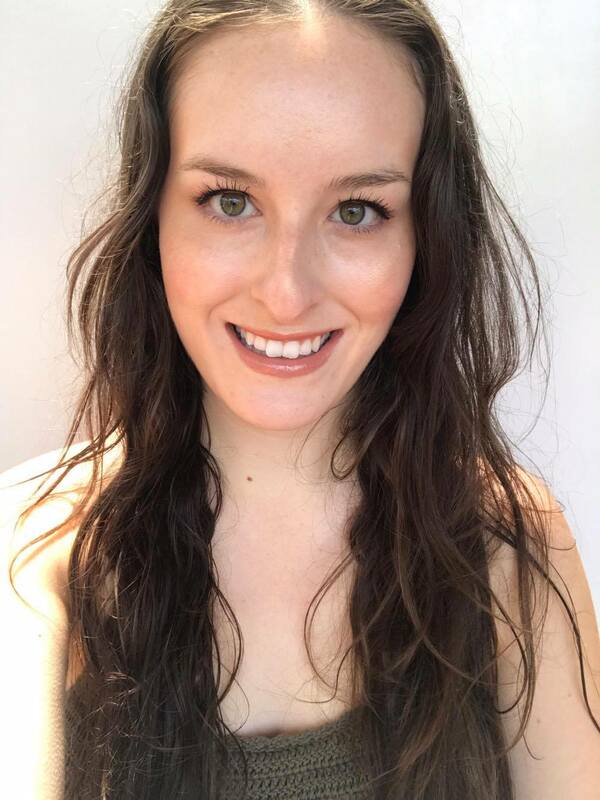 The Peach Box + Coupon Code! I was recently gifted some jewellery from The Peach Box, and have been totally obsessed with it, so I thought I should share with you guys! 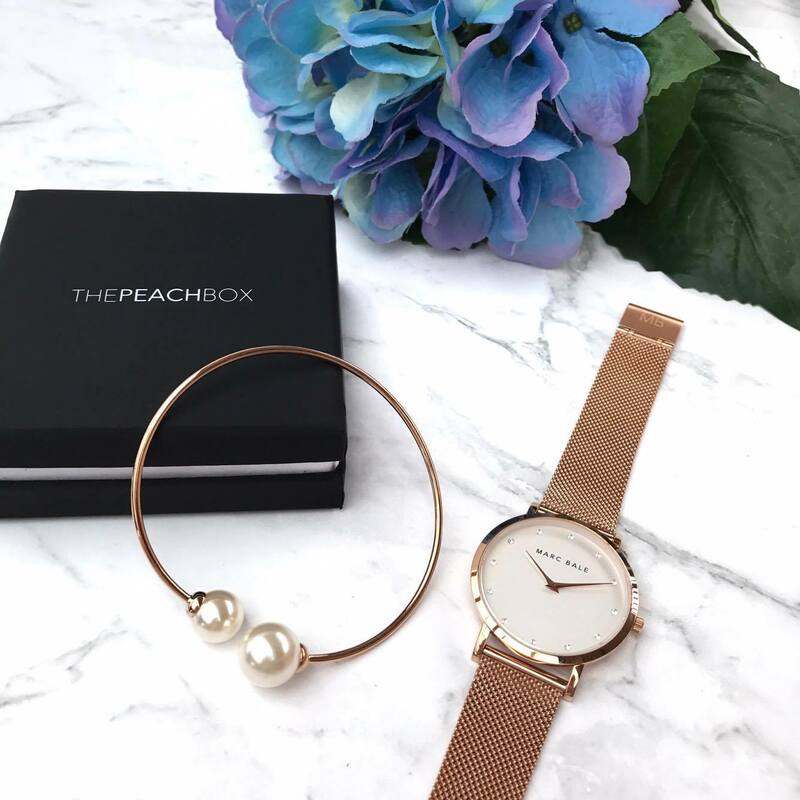 The Peach Box is an Australian jewellery site that offers bracelets, earrings, rings, necklaces and watches- think chic, minimalist and stylish pieces. Their jewellery is such great quality but is still affordable and I have been dying over the pieces I received. 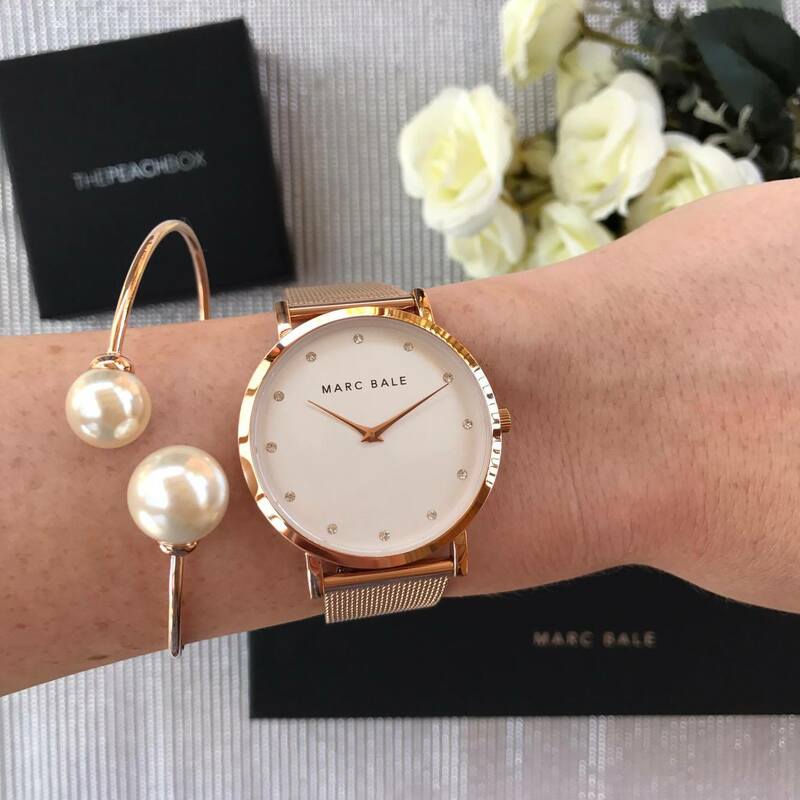 I received their Marc Bale watch in Rose Gold Mesh. 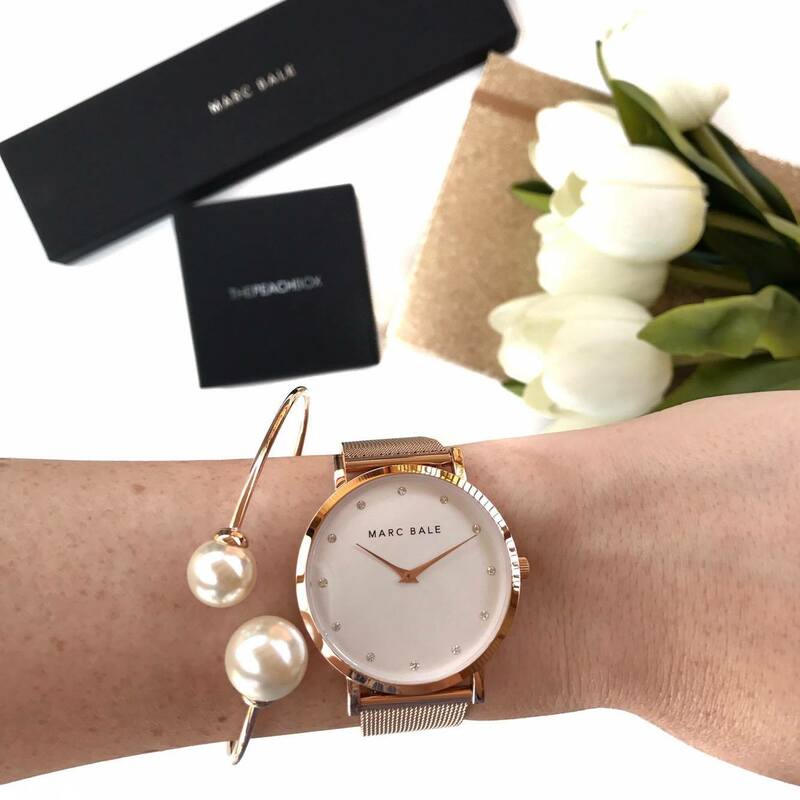 This beautiful timepiece features a polished Rose Gold finish with crystal markers for an elegant and sophisticated feminine look, and a Rose Gold Stainless Steel Mesh band. I also received their Pearl Embrace Bangle in Rose Gold. I find these two pieces combine beautifully together, and plus, who doesn't need more rose gold in their life?! 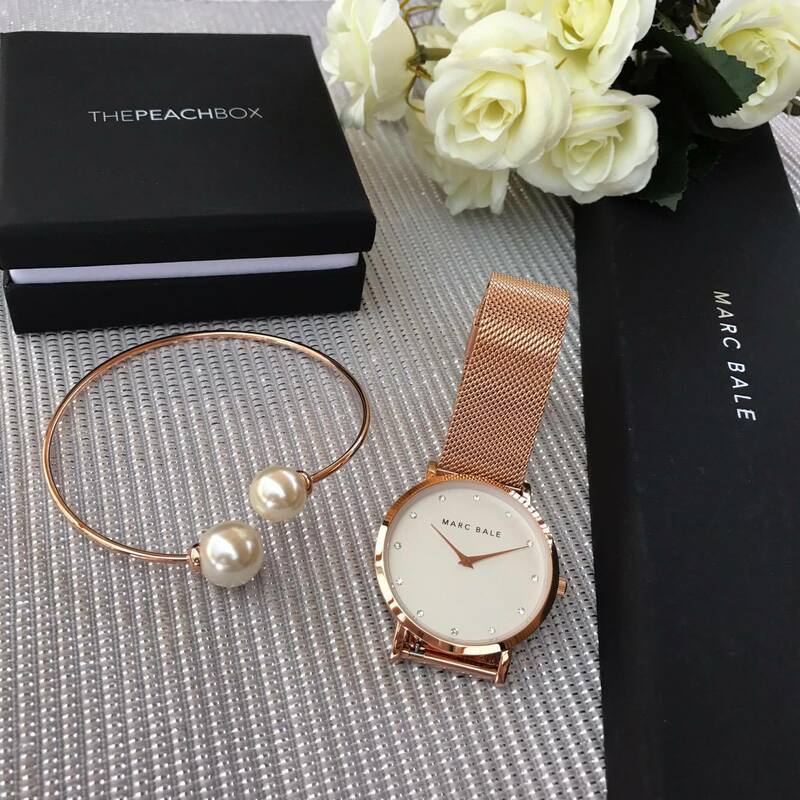 The Peach Box offer free shipping for Australian orders over $50 and international shipping for orders over $75 – yaas! Head to their Instagram to get some inspo before you make your order.